It’s a big year for significant others. 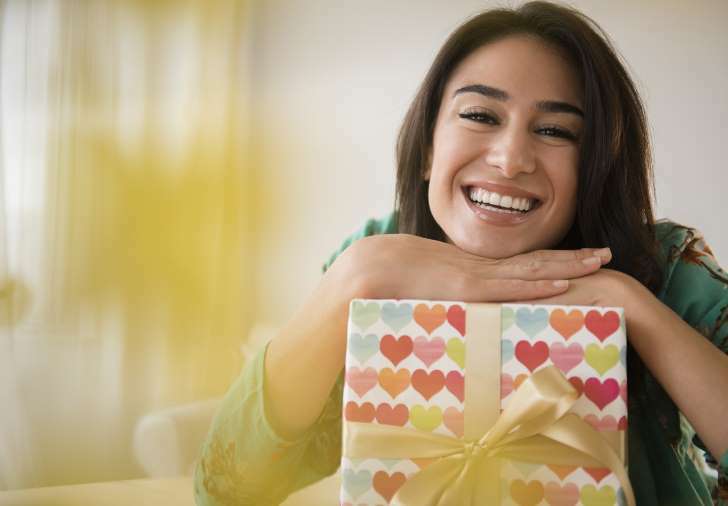 According to the National Retail Federation, American’s will throw down a record $19.7 billion dollars — about $145 bucks per person — on gifts for Valentine’s. Unless you’re reading this on February 15th, it’s not too late to get something fabulous for your special someone. Here are a ton of tech tools, instant ideas, and steamy new gadgets. In a recent shopping survey, more people said they crave experiences over flowers, jewelry, candy or anything else you could wrap in a bow. That includes a vacation, getting show tickets, planning a night out or organizing an adventure. And yes, there’s an app for all of that. A little closer to home, the HotelTonight app (free, iOS and Android) can up the ante on a stay-cation or last-minute romantic getaway. It finds last-minute bargains at the best hotels. Need dinner reservations to go with that snazzy hotel room? The NoWait app (free, iOS and Android) can find a table for two at local hotspots by letting you line up for a table from your phone — and show up just in time to sit down. If a cozy night at home is more your style, turn your humble abode into a sweetheart spa with apps Soothe (free, iOS and Android) or Zeel (free, iOS and Android). Download the app, sign up, and pick a time for a massage therapist — all licensed and thoroughly vetted —to show up at your door. Massages cost around $100 per hour per person on either service. There’s never been a better year to give the gift of an awesome gadget and there's no shortage of sweet-spot tech toys for both of you too. For superb bling, check out DNA jewelry from Identity Inside's ($500 to $1,300). This new start-up makes rings and pendants to preserve an actual DNA sample, locked-in and protected by a diamond. If you’re looking for a gift that doesn’t require a saliva sample, Ringly ($195 to $260) is a gorgeous choice that syncs with her smartphone to offer notifications for texts, emails, calls and more. Other great blingy-options for women include the Fitbit Tory Burch collection, Misfit Swarovski Shine pendants and bracelets, or even crystal-studded ear buds from 1More ($79.99). Many of these options are available to order last minute on Amazon or pick up locally at the Apple Store, Best Buy, Target or even Walmart. For him, there's nothing like a smart (or silly) pair of cufflinks, such as the Star Wars fan approved Dapper Darth Vader cufflinks ($60) or these sleek USB drive cufflinks ($29). To gift music to anyone on your list, make a modern day mixed taped with Sharetapes. These are fast, easy, and actually deliver a credit-card sized "tape" with a QR code or NFC, so the person you’re giving it to can jam to sweet sounds all year long. Also sweet for sharing, a set of headphones that lets both of you listen in could be the perfect gift for both of you. Phiaton's BT 460 ($200) wireless Bluetooth headphones look and sound sleek, with a unique that lets you tap or swipe to control the sound or answer calls. But the best feature is ShareMe, which allows two sets of headphones to listen to the same tunes. For capturing your own magic moments, the Polaroid Snap ($100) puts a real-world Instagram in your pocket, taking digital photos and printing them out as 3x4 snapshots. Or, download the free SuperPhoto app and create a unique work of art from a simple selfie with the painting filter. Or, if you want to just cut to the chase and go straight to the bedroom, a new high-tech Sleep Number mattress is great choice to make both of you happy all year long. You can adjust each side of the bed for your individual needs, while SleepIQ tracks your sleep — without anything to wear or sync — and offers advice on how to make it all better. This is a fabulous luxury gift for couples everywhere who more satisfaction in the sack. (Sleeping … of course.) Find a Sleep Number store in your area to see if you can get delivery before Valentine's Day. None of these working for you? Maybe traditional is just your style — but that doesn't mean you can't use some high tech tools to make sure you're sending the perfect card or bouquet. BloomThat (free, iOS) delivers fresh, locally sourced flowers with next day delivery nationwide — and same day delivery in the San Francisco Bay Area and New York City areas — while the rest of the country is next day. Just remember to order Friday afternoon by 3 p.m. ET. Flowers accomplished! But why make that flower delivery a one-time deal? Make your own Valentine's Day every month with a flower subscription from Flower Muse ($150 to $330 for three months). A dozen roses a month? Two dozen roses a month? All doable. Tech-savvy dating app The League (free, iOS) can help you find the perfect Valentine's companion with filters that mean you only find the people you're working for. For Valentine's Day, The League has partnered with BloomThat and Minibar to deliver blooms and booze to your potential match — at least in the New York City and San Francisco areas. If you're already done with Valentine's — and the endless store displays of everything red and heart-shaped — you can opt out, too. Split (free, iOS and Android) helps you avoid your ex and anyone else you'd rather not see. Just plug in social network info, tell the app who you want to steer clear of and it keeps track of who's posting from where. It even warns you if they get too close. Chelsea Handler's new Gotta Go! (free, iOS) app may be a joke, but it's also practical. Need an excuse to escape an awkward situation? Gotta Go! lets you configure the perfect excuse to show up as a text message or phone call. Use it to escape that awful bad date or the ex that Split couldn't help you avoid. Whew — got all that? Start thinking outside that heart-shaped box! Whatever you're doing this Valentine's Day, there's an app — or a website or a gadget — to lend a hand.